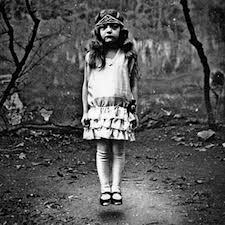 I have just finished a book called Miss Peregrine's Home for Peculiar Children. I was really enjoying while I was reading this book. In the start I thought the story was about something else, more about a boy that wants to find out what's going on with his grandfather and more likely about his life. It turned out that all of the stories that he has been told about monsters and Peculiar Children from his Grandfather were true. I think the book was exciting, and it's really nice to spend some time on reading books, especially in English since you're also improving your vocabulary. I'm not sure if this is my type of books since I'm more into stories that might happen in real life. But I think that as long as you're reading something in English it is still better than not reading at all. Here are some pictures taken from the book that in my opinion were really creepy. I liked that that book pits truth vs. fiction, but I must admit that it wasn't my type of book at all. I think I will choose other type next time, maybe crime novel. Do you have any books that you've read and that were really good? Seems like you did like it even if it was not your style. Glad you read it, and hope you decide to read more books in English soon.